Good morning, friends! Today I have something fun to share with you. Jane Tanner, one of the co-founders of Bookroo, is going to share some stories with us. But first let me introduce Bookroo. 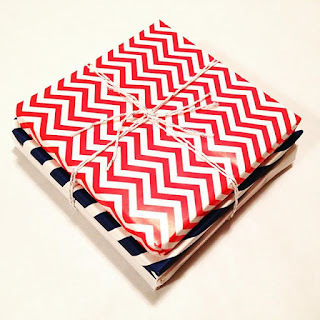 It's a book subscription box, like Kiwi Crate or something, but instead of being filled with crafts, it's filled with books! This idea is so good. I will brag that I had the same, excellent idea once; I just didn't do a single thing about it. The Bookroo team, on the other hand, has made my dream come true. Anyway, Jane reached out to me about collaborating on something and I think we're kindred spirits: we adore books, we read to kids, we cheer for the BYU Cougars. No surprise then that we decided to swap guest posts on each other's blogs. 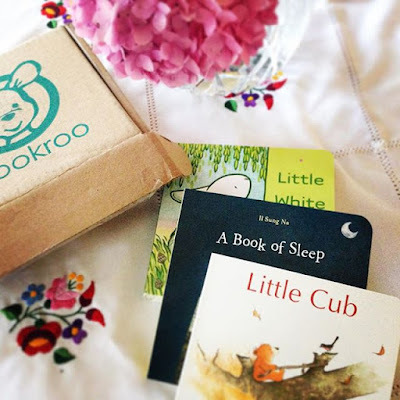 Since I had once fantasized about starting a kidlit subscription box, I asked Jane to write about "something funny or embarrassing or amazing that happened in the very earliest days of Bookroo." I wanted something to make me laugh, really, and Jane delivered. Her post starts out with the two brothers who started it all. . .
Bookroo was Kesler and Tayler’s brain child. They’d worked on a couple of entrepreneurial endeavors in the past together, and when Tayler was looking for fun ways to get new books for himself to read but couldn’t find a program he liked, he called Kesler. They batted the idea around and then realized that doing a book subscription service for children would be way more fun. And so Bookroo was born. They shared the idea with their older brother, Chandler, and soon the three of them were having discussions about it. 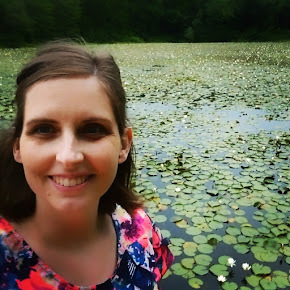 First, Kesler just enlisted my help with the logo, and the imagery for the site, but since reading to children was something I so passionately believed in, soon I had officially joined the Bookroo team, followed shortly thereafter by Chandler’s wife Tiffany, and Tayler’s wife Becca. It was just such a FUN idea to work on! And thus our team was formed. Three brothers (or “bro-lers” as we sometimes call them since all 8 brothers in the Tanner family’s names end in -ler) and their wives, out on an adventure to make reading accessible, convenient, and affordable for parents and exciting for kids and parents alike. Since some of us live in Utah and the rest in California, Bookroo has given us a wonderful opportunity to keep extra in touch and work together even though it’s long distance. We’ve perfected the Google Hangouts team meeting and use a number of tools to keep us coordinated throughout the week. Unfortunately, with all businesses there’s the occasional snafu, especially if you’re coordinating long distance. Probably the funniest moment thus far was when our supplier sent us the wrong book! We’d been debating between these two different books to be the last one included in the month’s shipments--they were both great books--but we’d ended up deciding to go with Book A rather than Book B. The books arrived, our Utah contingency wrapped and shipped them out, and everything was great--pictures were pouring in and people were loving the books! Then at our Google Hangouts sync up a week later, we were talking about how things had gone that month. Someone mentioned the books we’d sent out at which point Kesler said, “Wait, I thought we sent out Book A.” It came out that we had in fact sent Book B, because that’s the book that the supplier had sent us! The Utah crew had assumed the California crew switched the order on them, and the California crew assumed the right books had shown up! To this day, we still aren’t sure how the supplier even knew we were considering Book B, and why they thought it was ok to switch our order, but we had a good laugh about it, and are glad that we liked both books so much! To us, Bookroo is an exciting opportunity for families--both ours and yours. Bookroo boxes unite us behind a common mission--to improve the world and the minds and imaginations of children through reading! Come check out our site, and start sending Bookroo boxes to the children in your life--it’s an investment in their future! Thanks, Jane! I definitely chuckled about "bro-lers" and about the mix-up! Time for coupons and special offers, yes? If you order through my Bookroo booster link, you can get 15% off with the code BOOKS2LOVE . What's in it for me? If you order through the links in this post then I get a commission. So hey, thanks! Books all around! 1. Click over to Bookroo. 2. Select whether you want board books or picture books. 3. Select how long in advance you want to pay. The longer you go, the cheaper it is per box. One month prepay is 17.99/box. Three month prepay is 16.66/box. Six month prepay is $16.33/box 12 month prepay is 15.99/box. Shipping is $5. 4. Fill in shipping info, billing info, and create a login to track your orders. Hooray! Surprise book presents once a month! But what if I already have a lot of books and I get one that I already own? No problem; send a photo of you giving the book to a friend and get $5 off your next box. Bam! But what if I can't decide between picture books and board books? No problem; tell them and they'll switch off between the two, month by month. So easy! More info and FAQ's on the Bookroo site of course, those were just my two big questions. It also sounds like the perfect thing to gift at a baby shower. It also sounds like the perfect way to get cousins in a book club together. Sign both families up for Bookroo and then have a little Skype session once a month. Baby book club. I'm dying of the cuteness. Ok, I think that's all I've got. What questions do you have? Of everyone you know, who would be most excited to learn about Bookroo? Share this post with that person and you'll bring a little more "hey that's cool" into her day. UPDATE: I've received and reviewed a Bookroo box! Check out my thoughts here.